Book your 2019 Holidays by 31 March and benefit from our SUPER SPECIAL OFFERS! Situated in the Algarve’s Golden Triangle, Longevity Cegonha Country Club is a charming adult’s only (with exceptions over Easter and Summer) cosy hotel nestled in the tranquil green surroundings of the Vilamoura Protected Area. The ideal destination for those looking to dip their toes in a wellness retreat, Longevity Cegonha Country Club offers affordable high impact Spa & Wellness programmes. 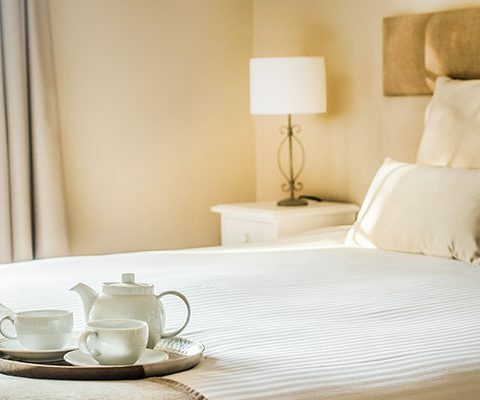 Longevity Cegonha Country Club offers relaxed and affordable accommodation, staying true to a traditional Portuguese style with traditional terracotta tiling and a classic simple design. Each room is comfortable and spacious with Longevity’s own natural products available in each. Guests staying at the hotel are invited to take part in a range of daily Body & Mind group activities (for example, yoga, Pilates, tone & fit, walks, among others) as part of the Longevity Vitality Plan. 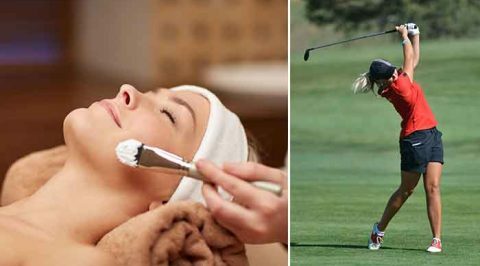 The Spa à la carte menu offer ranges from pampering treatments to Longevity’s carefully curated premium detox and weight loss therapies. Alongside the wellness services and facilities, Longevity Cegonha Country Club also includes an outdoor swimming pool, a heated external hydrojet pool, a differentiated Detox & Relax wet area circuit including Infrared Sauna and Epsom Salt Room, tennis courts and PURE Cafe which serves healthy dishes prepared using fresh and local produce. With a secluded location within Vilamoura, Longevity Cegonha Country Club provides the perfect base to both unwind and sample the Algarve lifestyle of world class golf, fine sand beaches, the largest marina in Portugal, walking and bike trails, and more. Whether looking for a fun and leisurely trip, with lots of optional local Algarve experiences packs available at the Concierge, or a fitness and wellness retreat, the perfect holiday experience awaits. Note: Guests under 14 years old are only allowed in the Hotel between 18 - 29 April 2019 (Easter school holidays) and between 15 July and 31 August. 32 Comfortable and spacious rooms and suites. A wide range of Spa & Wellness facilities and services. 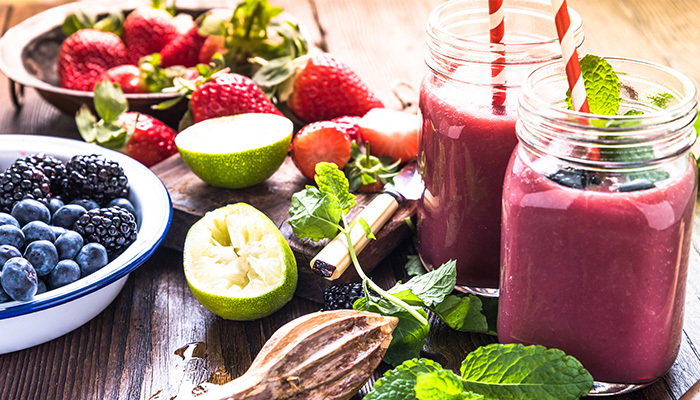 Healthy & Tasty meals and drinks. I enjoyed my stay and feel very much better in every way. The staff and the food at Longevity are fabulous. I felt comfortable + well cared for during my stay. Nothing was too much trouble for all staff to accommodate. Perfect place to come if you need to unwind and disconnect. They offer a holistic approach to health - body, mind and soul. I did the Slim programme and absolutely loved it. They will teach you how to eat right and you never feel hungry. The agenda is packed with activities, from stretching to Pilates, yoga and walks. Blown away across the board. We had been unwell before we arrived and the staff really looked after us. The energy of this place is incredible and the staff are thoughtful and caring. The spa is one of the best I've ever seen. Over all a wonderful experience. That’s why I will keep returning. Excellent place if you want to detox. I just came back from a wonderful week at Longevity. The room was a wonderful comfortable apartment. The facilities were in excellent shape - I especially love the spa and detox circuit rooms (rain showers, saunas, etc.). For so little food - just juices and soups - the taste was excellent - as was the friendly café staff. All from local organic produce - didn't know detox could taste so good. and the best for the last - the people - they make this place great - warm, cosy and welcoming, everyone attentive to every request, question and detail. The bike ride with Vania was great. The workout with Diogo was also great - even though I didn't want to - he snuck it on me. Marcella did great massages especiallyl the reflexology. The nutritionist Melania was also great! Sophia G. runs a tip top place with great people - so grateful she took a look at my program and then made sure it met my goals in a realistic way. Very professional, very warm and attentive ! 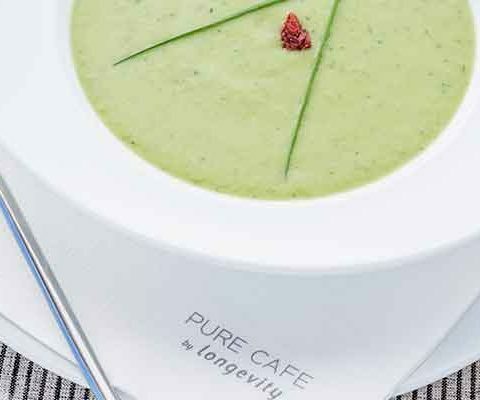 After my week’s stay for a Juice Detox at Longevity Country Club, I feel like new! I feel cleansed, energized, I lost volume, and my gut feels rebalanced. I felt detox and wellness in every single detail of my stay, the natural products in the room amenities and in the Spa, the pureness of the detox diet, the teas, the water, the body scrubs, the epsom salt room, the infrared sauna and it goes on and on... And all of this in a lovely cosy place with great and thoughtful people who genuinely took care of me – a huge thank you to the team. A great experience to repeat! Magical spa experience. This priceless little gem, tucked away in the countryside is the perfect place for a celebration pamper weekend. We were treated to exceptional spa treatments, complemented by a delicious variety of fresh, nutritional locally sourced meals and juices, and a daily selection of complementary activities - Vanya's step and aqua-fit class were a big hit, along with the yoga and Diogo's sunset bike ride. The knowledge and expertise of the staff shines through as brightly as their warm and welcoming smiles, with every request attended to impeccably. We've visited some of the most exclusive resorts across Europe but this place provides a distinctly personal touch and a special charm that I can't put into words. It was hard to say goodbye... still we've returned energised, with glowing skin, toned thighs and equipped with Joao's tasty juice recipes to get us through the cold winter. Thank you Sofia, Patricia and team Longevity for a magical experience, we will be back soon! I want to thank you for the most amazing week. Every member of your team were fantastic and to have built such a strong team so soon after opening is quite remarkable. I was delighted by the enthusiasm, friendliness and knowledge of all of your team. We had a lovely time, enjoyed wonderful food, drinks, supportive staff. The Osteopath was amazingly good and I have had many treatments. Vania was very good at adjustments to our needs. An enjoyable and healthy holiday experience. Spacious and clean accommodation in well appainted grounds. The activities were varied for all levels, allowing to do as much, or as little as you wanted. I enjoyed the visits to the surrounding towns and ability to explore the area. All the staff provided the highest level of service ensuring I received the best experience. Of the many holidays I have experienced this is the first where I would definitely return.